But it turns out they don’t love the man behind its lyrics so much: a lawyer called Vincente López y Planes. In 1813, Vincente came up with the anthem’s words, making them as over-the-top and emotional as its music. His song does everything from call the country’s old Spanish rulers “wild animals…devouring everyone before them” to imagining the Incas rising from the dead to bring Argentina independence. They are words perhaps more suitable for a soap operas than an anthem, but they couldn’t be more fun. How do I know Argentines don’t care for him? Because earlier this year, I had to pass through Buenos Aires on my way to Antarctica, and while in the city, thought I’d go and have a look for Vicente’s grave in the amazing Recoleta Cemetery. It took me literally an hour to find him despite looking at a map several times and even having help from staff. There were crowds lining up outside Evita’s grave nearby, and people posing for photos alongside dozens of other stunning tombs all topped with haunting statues of angels. Flowers were respectfully resting against hundreds of graves all around the huge site. But Vincente’s tomb? It was just down a tiny alley, ignored by the thousands who visit the cemetery each day, glanced at at best. Vicente’s family tomb. Yes, it’s an appalling shot. Blame the light! It is covered in tributes, yes, but a tribute means nothing if no one looks at it. But, in a way, it’s still a fitting resting place . If you read my book, you’ll realise that being ignored is the fate of pretty much every anthem composer and lyricist who’s ever lived. Vicente’s no different. How to heal Colombia’s wounds: rewrite its anthem? Well, last week, a “group of young people excited for peace” launched a campaign for a new verse to be added to Colombia’s that speaks of the country’s hopeful future, rather than its horiffic past. It’d be verse 12, so no one would actually sing it. It’d be a purely symbolic gesture. But if you want an insight into just how desperate Colombians are for peace, you only have to look at some of the entries so far. Although they’re all so filled with frank descriptions of past violence, it makes you wonder if the country will ever heal. Surprisingly, the idea hasn’t gone down well with some. It turns out the “young people” all work for two advertising agencies, J Walter Thompson and Sistole, who regularly win government contracts. This apparently means the initiative must be corrupt. How on earth that’s the case, I’ve yet to work out, but it shows you just how far Colombians have to go before they can trust each other again. República o Muerte se va a casa! 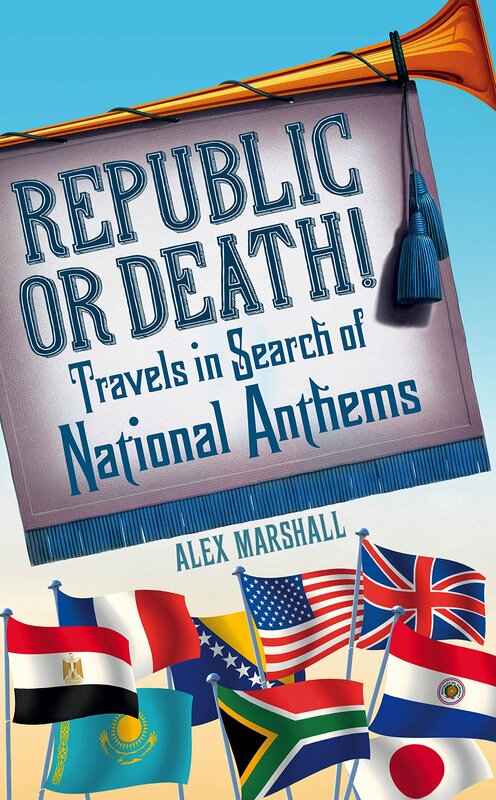 A few years ago, when I came up with the idea of writing a book about national anthems, the easiest part turned out to be choosing its name. I scrolled down a list of the world’s anthems hoping to find something that could work as a book title. God Save the Queen? Nope! La Marseillaise? Next! Land der Berge, Land am Strome? Er…perhaps not. But as soon as I hit Republic or Death – the name of Paraguay’s anthem – I knew I had a winner. It’s a phrase that sums up everything about anthems: how they can be gloriously over-the-top and passionate, but how many of them are responsible for inspiring some of the bloodiest moments in history. Fortunately, the anthem sounds great – starting off with a rollicking 50-second intro, and then featuring so many time changes it’s near impossible to sing, more an opera than a song. Once I’d heard it, there was no going back. This weekend I’m finally heading to Paraguay to research that song, its history and meaning today. Unsurprisingly, I’m a bit excited. The composer behind República o Muerte also happened to write Uruguay’s amazing anthem – the less well named Himno Nacional (no, that wouldn’t work as a book title!) – so I’ll also be heading there. If you’re in either country and fancy a cerverza or two, let me know, otherwise I’ll write something when I’m back. Abrazos! 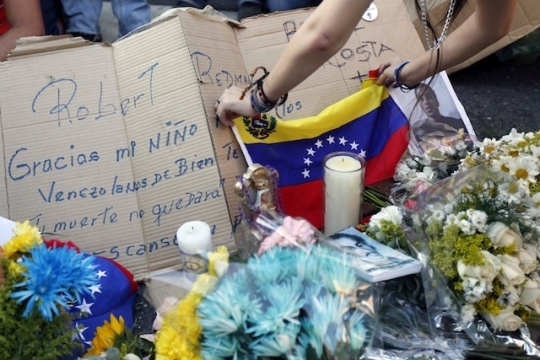 There were 24,000 murders in Venezuela last year. That’s 65 a day – an almost cartoonish level of violence. It says something’s seriously wrong there, regardless of what benefits you think Hugo Chavez brought to the country’s poor before he died, or whether you support his successor, Nicolas Maduro. The violence partly explains the ongoing demonstrations in Caracas, in which three students died earlier this month. It also partly explains why the pianist Gabriela Montero spends a lot of her time recording protest versions of the country’s national anthem. 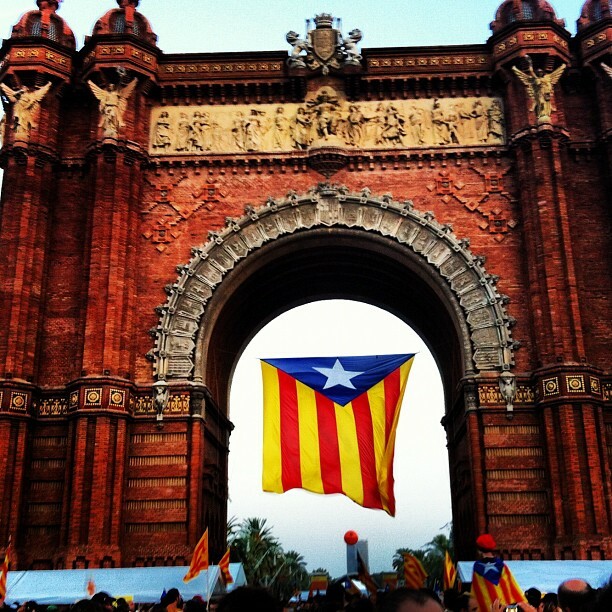 Gloria al Bravo Pueblo – Glory to the Brave People – is normally described as a Latin American version of the Marseillaise, a proud military march that spirals to a cymbal crashing ending. But what Gabriela turns it into is something far more powerful and worth your time. Here’s just three of her takes on it. In the first two, she makes the anthem sound like the song of a heart-broken lover, one who can barely hold their emotions together long enough to get to the end. But in the third, she turns it into something altogether different: a fiery tango and a theme song for cacerolazos – those protests where everyone bangs pots and pans to wake up corrupt politicians. It is 100% fantastic. Gabriela’s playing concerts in Germany, Italy, the UK, Serbia, Canada and the US in the next few weeks. Go along. Her full schedule’s here.